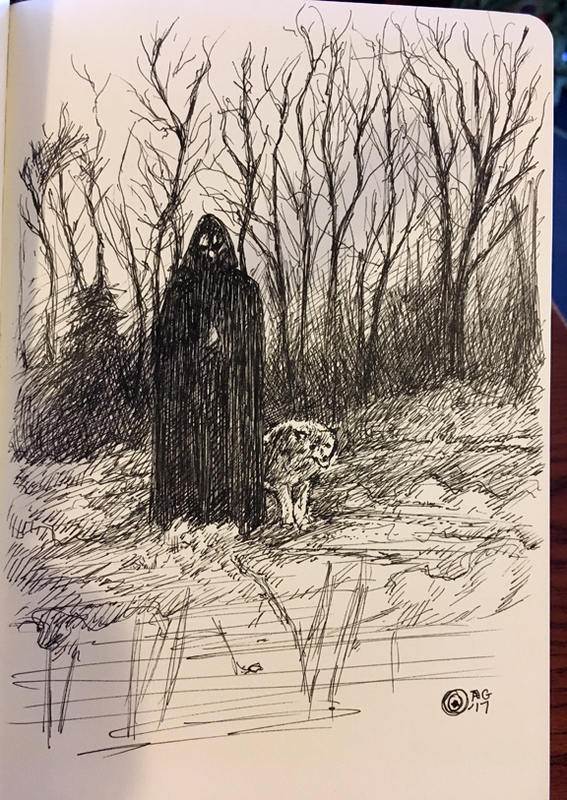 Recently, I ordered some new drawing pens from Marvy Uchida to experiment with because I enjoy the essence of inking and how it flows on paper. Not only that, it's a way for me to search for the right pen that would fit my style and workflow. The new pen set has point sizes ranging from .005 to .08 and interacted nicely with my moleskine sketchbook even though the quality is not so different than what I experienced with the Faber Castell Artist PITT pen, which is one company that I really love. They make the best graphite pencils in the 9000 series that have such admirable quality. 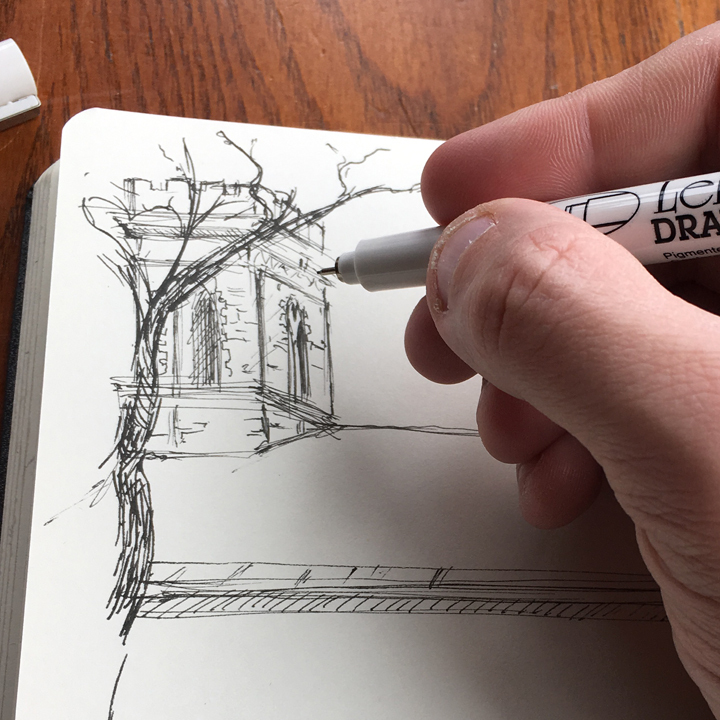 I suspect these pens would interact better on smoother paper than the moleskine to have a uniform line quality, especially if it were done on hot press illustration board which comes to mind. If they do, then I may buy more of them to stock up on specialized drawing surfaces. It would also come handy for life drawing sessions for crisper line and form, I think. The pen set is affordably priced and are comfortable to hold. 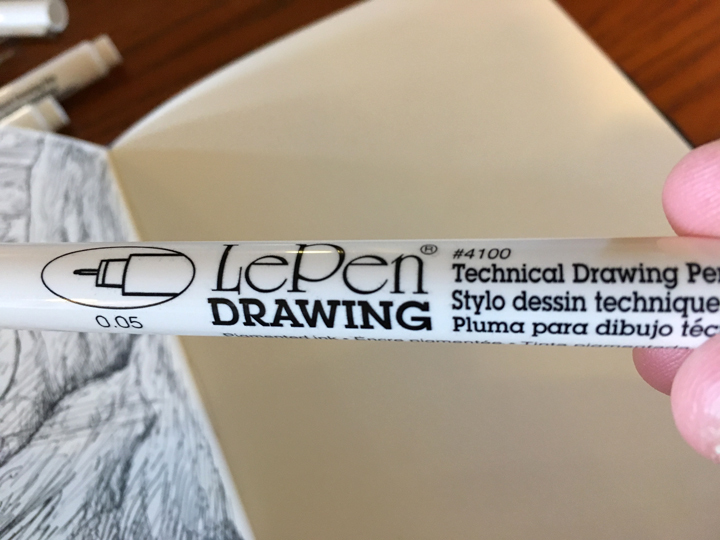 One of the better pens I've tested in some time. LePen Drawing setThe font style reminds me of what Dover publishing books use with academic clean look.Here's a close up of what the tip looks like.A little experiment with dark theme using the LePen set.